Jill Duggar and husband Derick Dillard shared new photos of their adorable (and record-breaking!) baby, Israel David. From heartwarming hospital pictures to hilarious snapshots, see how little Israel has been spending his first week of life. 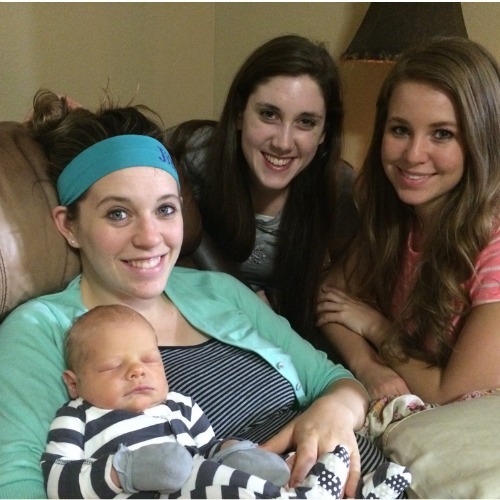 19 Kids and Counting star Jill Duggar is giving her fans exactly what they want — plenty of photos of baby Israel David Dillard. The not-so-tiny tot is actually a record-breaking baby for being the longest baby born at the hospital. 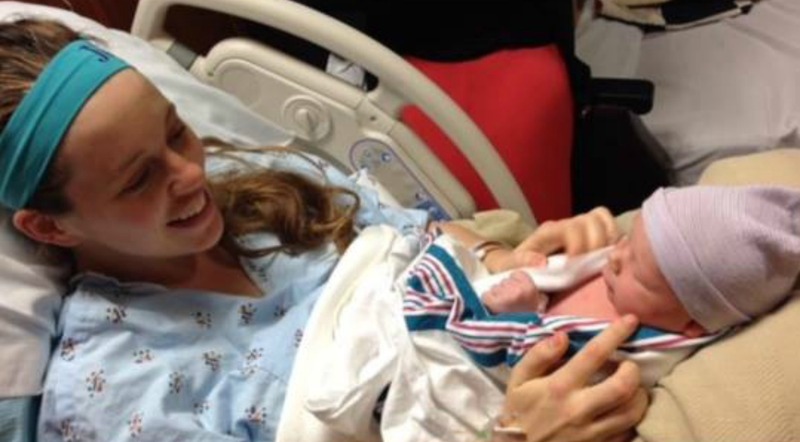 Born two weeks overdue, he weighed 9 pounds and 3 ounces, and measured 23 inches long. 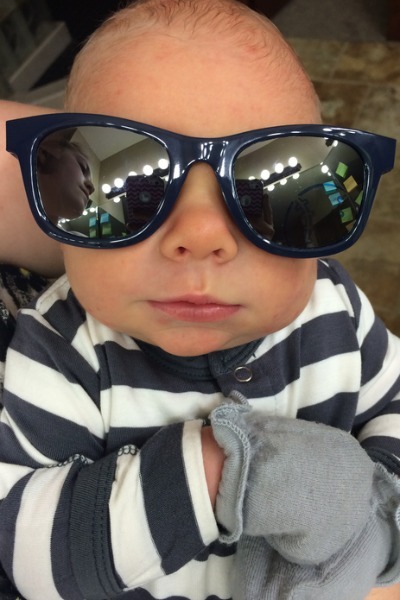 He looks adorable as he hams it up in sunglasses in this new photo that was posted on their website, The Dillards Derick & Jill. Derick posted this photo along with a bible verse discussing the “anguish” of childbirth that turns into joy after seeing your baby. “I feel like I can relate to this verse just a little better now after being with my wife in labor, but then experiencing the joy of our son!” he captioned the photo. On the 19 Kids and Counting Facebook page, the couple shared some sweet photos shortly after Israel was born. The couple shared this photo of Israel sleeping on Mom Jill while they get several visitors. Lastly, the new parents shared a sweet selfie, thanking their fans for all their support as they adjust to parenthood. “As Jill and I are settling in back at home after the birth of our firstborn, we wanted to thank everyone for the amazing support we’ve received from so many during this time. Your thoughts and prayers mean so much to us. We love you all! #blessed #grateful,” they captioned the photo.